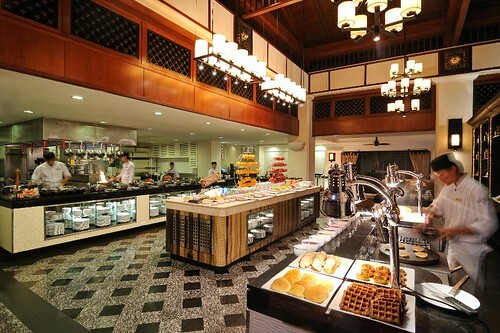 The Marriott Cafe – temptations galore! Sumptous unimaginable buffet spreads was a sure highlight. 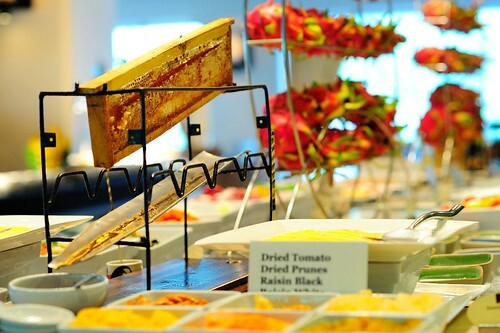 Fruit and vegetable shots, colourful juices and mocktails, exotic Thai fruits, a not-to-be-missed range of dried fruits, counters for pastas, waffles – the list was deliciously long and amazingly tasty. 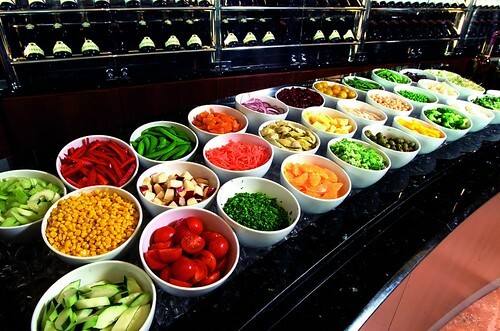 Colourful and tasty spread of fruits, nuts and salads! I enjoyed meeting Mr Richard John, the F&B Director of The Marriott. His vision coupled with his simplicity and humility makes him a much-liked leader. We had an interesting conversation about food fashions and trends. I must make a special mention of the chefs and the hotel staff who were always attentive and alert. Their professional competency makes The Marriott an ideal location for special events or holidays. I also chanced to meet Sameer Gupta, the executive chef at San Diego who has cooked at the White House for US President Bill Clinton & the James Beard Foundation, New York. He is quoted on google thus: “The world is my workplace, where I teach how to cook the Indian cuisine.” Despite his busy schedule which involved supervision of the food at the wedding, we managed to grab half-an-hour exchanging our love for traditional Indian food. I really enjoyed meeting him and listening to the fabulous and quick culinary tips that he kept sharing.